This DRIERITE® Disposable Desiccant Cartridge for Totes (Stock No. 40510) dries displacement air entering storage totes to -100° F dewpoint. It prevents condensation of water vapor and resulting contamination. 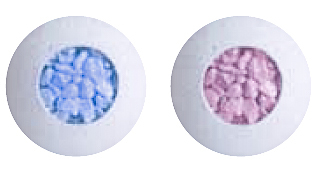 The indicator window turns from blue to pink when the cartridge is exhausted. 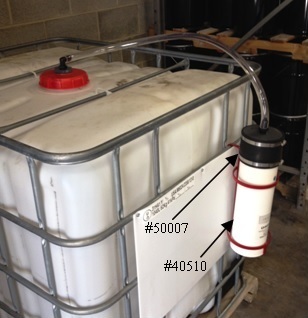 When used with the adapters shown here, these cartridges provide economical and versatile means for preventing moisture contamination in totes and tanks. The DRIERITE® Tote Adapters (Stock No. 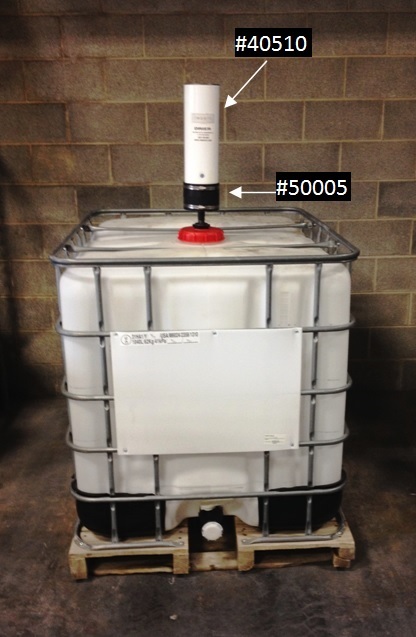 50005 & 50007) provide convenient means for connecting the Tote Drier to storage totes or tanks. Adapter (Stock# 50005) will thread directly into a 2" or 3/4" NPT opening. Adapter (Stock# 50007) provides a 1" hose barb connection for use with flexible hose. Remove seals, insert the cartridge into the rubber hose, and tighten the hose clamps. Once installed, material can be withdrawn from the tote without being contaminated with moisture. Dimensions: 5 1/8" dia. x 15 1/2" ht.